I would like to make a positive difference in today’s youth. I understand that my contribution will help support the Tall Ship Lynx. Donations may be made online or by check or credit card. Please make all checks payable to TALL SHIP LYNX. this authentic Thomas Kinkade original NOW AVAILABLE IN OUR ONLINE STORE. Help us change lives by sponsoring an Educational Dockside Program or an Educational Adventure Sail Program! Every child dreams of sailing aboard a tall ship. Many teachers want to offer this exceptional learning opportunity, but their funding for field trips has been cut. You can help these teachers and their students achieve their dreams by becoming an Educational Program Sponsor. Your donation directly supports teachers and students who wish to participate in our shipboard programs but are unable to do so. Your sponsorship allows these students to visit the Lynx and work alongside our crew/educators, hoisting sails and participating in an unforgettable shipboard learning adventure. Individual Student Sponsorship ($10 and up) – A donation as small as $10 can sponsor one student to participate in a shipboard education program. Educational Dockside History Program Sponsorship ($320) – For a donation of $320 you can sponsor an entire class to participate in a one-hour educational dockside history program. 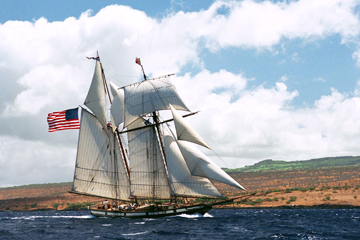 Educational History or Science Adventure Sail Sponsorship ($1,400) – For a donation of $1,400 you can sponsor an entire class to set sail on a three-hour educational history program or a life, earth, and physical science program. Sponsorships are available for students and teachers only. Chaperones will not be sponsored. All sponsors receive a thank-you letter from the Lynx and acknowledgement of the donation on our website (unless the sponsor prefers to remain anonymous). Class sponsors may receive thank-you letters from the students as well. Class sponsors may designate a port where they would prefer their donation used. Lynx will make every effort to comply with such a request, though this cannot be guaranteed. Individual sponsors will not be able to designate a specific port.